One of the most affluent towns in the country, Wilmslow, Cheshire is no stranger to supercars. With some of its denizens earning upwards of £100,000 a week, that's hardly surprising. So why not get as many of them together as possible in a supercar celebration? And that's precisely what will be happening, this Saturday 22nd September. With the support of Manchester City's main sponsor Etihad Airways, Natural Retreats and the world's largest supercar club, ecurie25, Wilmslow town centre will be turned into a supercar show as local dealerships display their stocks along Grove Street; the main pedestrianised shopping area in central Wilmslow. In addition, owners will be displaying twenty of their own supercars the Pareto Law paddock. Etihad is also flying in one of its Formula 1 cars public display at the show, the same weekend as the Singapore Grand Prix. The event's chosen charity, Sporting Bears Motor Club, makes the day even more special. The "Bears" are a dedicated group of classic and sports car enthusiasts who unite with the primary aim of raising money for children's charities by organising and supporting events. The "Bears" will be offering rides around Wilmslow to the public in either an Aston Martin or Lamborghini Aventador, for a small donation to charity. 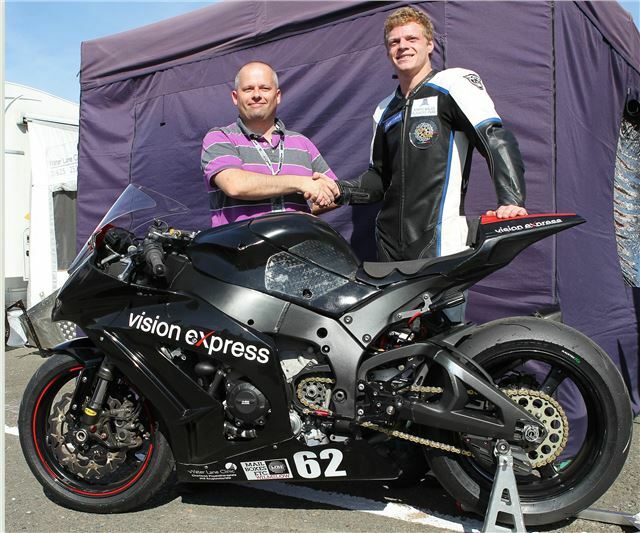 An example of local business support will be in the window of Vision Express, where Sam West's no62 National Super Stocks Kawasaki 1000 will be on display: the very bike he races in the British Superbike Series. Sam and International Indy car Driver Oli Webb, both local to Wilmslow, will be around to sign autographs. Chris Hawkins, BBC 6Music and Radio 2 DJ will also be positioned outside Bang & Olufsen using all their equipment to compere the entire event. Wilmslow is no stranger to supercars. On a normal non-match day, they are often seen cruising through the town centre to display the affluence of their owners. Wilmslow is the chosen residence of many celebrities including premiership footballers, cast members of Coronation Street and Hollyoaks and Olympic gold medallists, as well as the motorsports heroes joining us on the day. Wilmslow Motor Show will take place on the 22nd September from 10am - 4pm. You can find more information at www.wilmslowmotorshow.co.uk or by following @wilmslowmail on Twitter. Supporting sponsors include: Venn Digital, MacKenzie Marketing, Energie Fitness Clubs, Mail Boxes Etc Wilmslow, Artisan Market, Bang & Olufsen, Rites of Passage, Niche Event Hire, imagination2image, Pareto Law, Berry's Ltd, Compass Directory – Wilmslow, CW Shenton Farm Shop, The Talk of Manchester.